Plenty of skin care creams promise to tighten and tone skin while reducing cellulite. These firming body lotions might sound like a miracle, but there’s really no quick fix for dimpled or “orange peel” skin. In this blog post, Dr. Joel Schlessinger explains how firming body lotions work and what kind of results you can expect. Firming body lotions work by moisturizing skin, Dr. Joel Schlessinger says. The creams that promise to firm and tone skin are a temporary fix, meaning these formulas might initially provide results but they aren’t going to eliminate cellulite for good. Cellulite’s characteristic dimpled appearance is the result of uneven fat deposits under skin. Firming lotions provide a much-needed dose of hydration to smooth the appearance of skin. This moisturizing action also helps minimize fine lines and wrinkles, helping skin look more youthful and radiant. Additionally, firming products that are specifically designed to target cellulite often contain caffeine, which acts as an antioxidant and can help improve circulation. Dr. Joel Schlessinger says the best way to fight cellulite is by combining a firming lotion with professional treatments. Diminishing cellulite requires a combination of healthy diet and exercise, but sometimes even this isn’t enough. Fortunately, there are professional treatments that can help diminish the appearance of stubborn cellulite. Dr. Joel Schlessinger recommends VelaShape, a non-surgical procedure that uses elos technology to tone, contour and shape targeted areas. 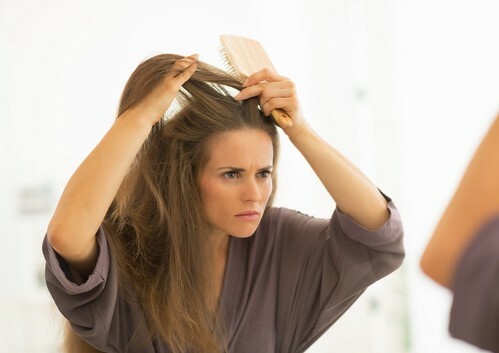 There are also several at-home treatments to prolong your results following an in-office procedure. bliss FatGirlSlim Lean Machine is a vacuum massager that targets cellulite with a combination of rolling, lifting, suction and pulsing motions. The device provides temporary results, and best results are seen when it is used alongside healthy diet and exercise. SkinCeuticals Body Tightening Concentrate tightens, firms and lifts targeted areas with a cooling sensation. This treatment helps smooth and tighten skin on the abdomen, buttocks, thighs and upper arms in as little as eight weeks. ResolutionMD Cellulite Treatment System contains a body wash, a firming moisturizer and a renewal cream to firm, tone and tighten skin. When used as directed, this three-piece system provides results after six to eight weeks of use. Do you have a question about firming body lotions for Dr. Joel Schlessinger? Share with us in the comments. 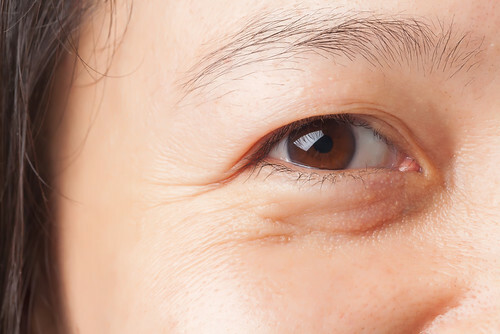 Sagging, swelling or puffiness under the eyes—sometimes referred to as “bags”—is a common side effect of the natural aging process. As we grow older, tissues and muscles that support the upper eyelids can weaken, causing fat that is positioned around the eye to migrate to the lower eyelids and the area below the eye. Fluid can also accumulate beneath the eye, which contributes to under-eye circles and a puffy appearance. Dr. Joel Schlessinger explains the causes of under-eye puffiness. Under-eye puffiness is primarily a cosmetic issue, but in certain circumstances, it may be indicative of allergies or other medical issues, particularly concerning the kidneys. See a doctor if the swelling is severe, accompanied by pain, redness and itching or if these symptoms have spread to other areas of the body. A topical treatment can help combat the appearance of bags, says Dr. Joel Schlessinger. There are many home remedies for under-eye puffiness that have been passed around for decades, such as placing tea bags, cucumbers or cold spoons over the eyes. These can temporarily reduce swelling, but they are not a viable long-term solution. Dr. Schlessinger recommends skipping out on these practices and applying a topical treatment instead. When used regularly and combined with a healthy lifestyle, these creams can help nourish the skin around the eyes and minimize puffiness. LovelySkin LUXE Brightening Eye Cream, a brand-new product developed by Dr. Schlessinger, is a light-diffusing formula that helps to brighten dark circles and minimize under-eye puffiness. Hyaluronic acid helps to plump and hydrate skin, diminishing the appearance of fine lines, while Persian silk tree extract and horse chestnut extract help to address signs of fatigue. Try Neocutis Lumiere Eye Cream (with PSP), a formula that helps to smooth the appearance of fine lines and wrinkles with growth factors. The cream also features hyaluronic acid to intensely hydrate the skin around the eyes and caffeine to help reduce under-eye circles and puffiness. Dr. Schlessinger also recommends Obagi ELASTIderm Eye Cream. Perfect for normal to dry skin, this cream contains the gentle exfoliator, malonic acid, to help remove dulling debris and restore elasticity. It also helps to tighten sagging skin around the eyes and eliminate dark circles and puffiness for a more youthful appearance. SkinCeuticals A.G.E. Eye Complex contains peptides, plus a blend of antioxidants, to help prevent collagen breakdown and loss of firmness. Exclusive anti-inflammatory ingredients help to combat dark circles and puffiness for a visibly improved appearance in as little as 12 weeks. Ask a dermatologist, like Dr. Joel Schlessinger, about cosmetic procedures. Cosmetic procedures are also available for under-eye bags, with fillers and laser treatments among the most common options. However, success can vary greatly by individual with these treatments, and they can carry added risk since the skin around the eye is thin and fragile. If you’re interested in exploring cosmetic surgery, it’s crucial to choose a board-certified dermatologist and cosmetic surgeon who has the skills and expertise to provide the best treatment for your needs. Do you have a questions for Dr. Schlessinger? Let us know in the comments section. Birthmarks are largely harmless skin irregularities that appear at birth or shortly thereafter. It is estimated that more than 80% of babies are born with some type of birthmark, and they can vary greatly in appearance. Certain moles may be classified as birthmarks, but most recognizable marks are light brown, pink or red with irregular borders. Remember Dr. Schlessinger’s post about The Grand Budapest Hotel for the 2015 Dermies? Agatha, a lead character in the film, has a port-wine stain birthmark on her cheek in the shape of Mexico! Doctors aren’t sure why birthmarks occur, says Dr. Joel Schlessinger. While real birthmarks don’t usually have a definitive shape like Agatha’s, our marks still often help emphasize individuality and they feature prominently in many cultures. From good luck symbols to evidence of a mother’s diet during pregnancy, people have speculated for centuries about their significance. None of these stories has proven to scientifically explain birthmarks. Dermatologists aren’t quite sure why some people develop certain birthmarks and others do not, but genetics and skin tone appear to play a role in some cases. While the exact cause of most birthmarks remains largely mysterious, dermatologists can define the skin phenomena that give the various types of marks their appearance. There are several subcategories, but for the most part, birthmarks can be divided into two types: pigmented and vascular. Dr. Joel Schlessinger explains pigmented and vascular birthmarks. Pigmented birthmarks are characterized by areas that are a different color than the rest of the skin. They are typically light brown or tan, but they can also be black, blue or blue-gray. These marks are caused by clusters of pigment cells. When there is an abnormal level of melanin (the pigment responsible for skin color) per square millimeter of skin, a birthmark forms. Size and color depend on the amount of melanin and location of the mark. Types of pigmented birthmarks include moles, café-au lait spots and Mongolian spots. Vascular birthmarks are red or pink in appearance. They are caused by an overgrowth of blood vessels from a deficiency in the nerve supply during fetal development. Clusters of these tiny blood vessels form in a concentrated area, giving the mark its pinkish or reddish look. Common vascular birthmarks include macular stains, port-wine stains and hemangiomas. See a dermatologist, like Dr. Joel Schlessinger, for certain types of birthmarks. 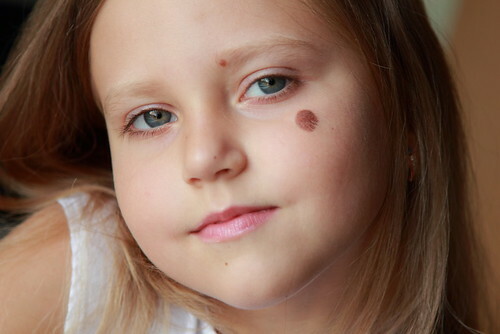 Birthmarks may disappear over time or grow larger, depending on their type. Most won’t require medical attention, but it’s a good idea to keep an eye on moles. Moles that are present at birth are thought by some to pose a greater risk of becoming cancerous later in life. If the spot changes shape, color or size, seek a physician’s care. In infants, certain hemangiomas in areas such as the chest may also require treatment since they can grow deep into skin tissue and affect organ functioning. If your baby’s hemangioma begins to bleed or form a sore, contact your dermatologist. For more information on common types of birthmarks, see Dr. Schlessinger’s post and video. Do you have a question for Dr. Schlessinger about birthmarks? Let us know in the comments section.